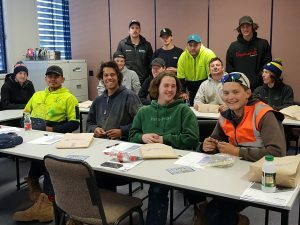 Chisholm Berwick & Frankston Campus Plumbers – Asbestos Aware! 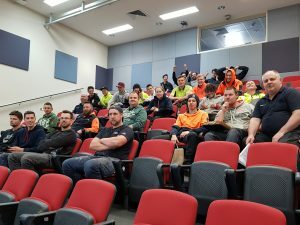 4/9/2018 & 26/9/2018 – ACV/GARDS girls were at Chisholm TAFES Berwick & Frankston campus – another 50 apprentice plumbers asbestos aware – switched on apprentices who had some terrific questions – empowered to ask “is that asbestos” if they suspect it might be. They now know that they can ask questions. 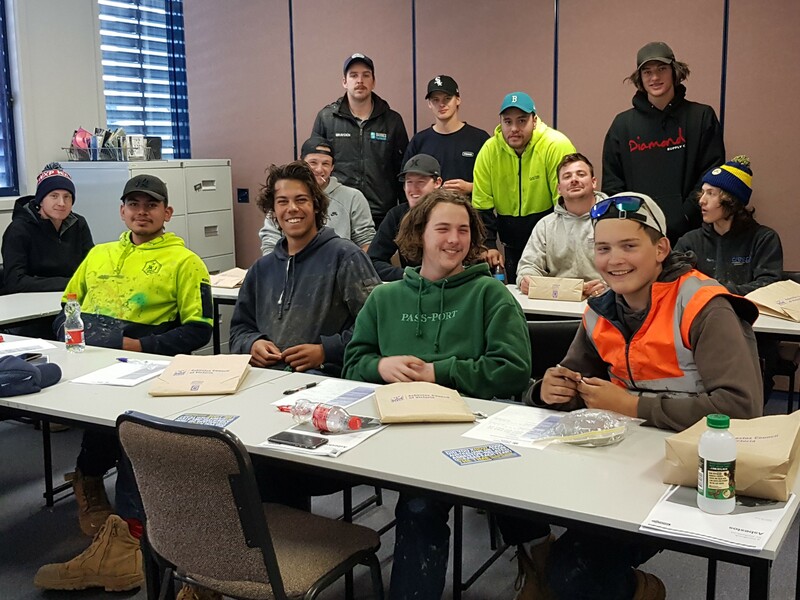 Really terrific bunch of apprentices who made us feel very welcome – we had a great time chatting with all these guys about a very serious subject and taking care of themselves. Thanks to their trade teachers for their involvement in the session – terrific input from everyone.